I’ve kept track and even have a page on this blog called Seanisms. It’s where I’ve stored funny and interesting comments my son has said ever since he was three years old. This morning, as I was thinking about the beauty of hope, one of my favorite Seanisms came to mind. I was making coffee one morning and Sean came around the corner. He spotted the package of coffee filters sitting on the kitchen counter. “What are those? !” he asked with eyes wide. I love the story his eyes told in that moment. It’s 5:30am and mom is about to make giant cupcakes. Awesome! There’s something beautiful about this kind of “sky’s the limit” hope. It’s crazy and sometimes unrealistic but there’s a part of me that desires to live my life with this level of expectancy. 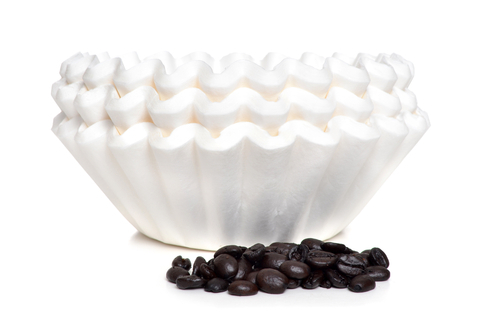 Too many times during the day I make the mistake of not seeing the potential tucked away in an ordinary coffee filter. I don’t recognize that it has giant cupcake potential. I miss seeing it in the opportunities that come my way. I miss seeing it in the people who cross my path. Today, I want to come around each corner in the journey and not miss the potential of what could be! I want to live each moment believing that God is about to make some giant cupcakes. Because, I’ve seen Him take coffee filters and create cupcakes before. He’s whipped up some impressive beauty. Lord, open our eyes to the cupcakes today! This entry was posted in Uncategorized on September 16, 2013 by Eileen. I love that. I want a giant cupcake. That is so funny. I love to hear the stuff that comes out of kids mouths! I do too, Josh. I learn so much from him. It’s sad that we lose our ability to see giant and endless possibilities. Thanks for sharing your personal experience and reminder that great things are still possible regardless of where we find ourselves – even if it’s 5am! Ha! Yes even at 5am! I’ll take a giant cupcake too! Vanilla with rainbow sprinkles baked in and strawberry icing. LOVE this!!!! I will look for the giant cupcake moments from God! !